Schnitzel, which means cutlet in German, originally referred to deep-fried, breaded veal cutlets popular in German cuisine. The name and idea were borrowed by Jews, and today Israeli children are practically raised on chicken schnitzel. Put flour in a shallow bowl. Beat eggs in a second shallow bowl. Mix bread crumbs with spices in a third shallow bowl. Beat chicken breasts to flatten. Dip chicken in flour, shaking off excess. Then dip in eggs, shaking off excess. Then dip in seasoned crumbs. Heat oil in a large frying pan over medium heat. Fry chicken in hot oil on both sides. Fry for 1-2 minutes per side or until golden brown. 1. Pound the chicken breasts so they are no more than 1/4 inch thick. To pound, place a slice of chicken between two pieces of plastic wrap and beat with a flat meat pounder or rolling pin. 2. The key to good schnitzel is knowing just how long to fry. You can poke the schnitzel in the middle with a knife to make sure the meat is white (not pink). The schnitzel should be moist, not dry, so be careful not to overcook it. 3. 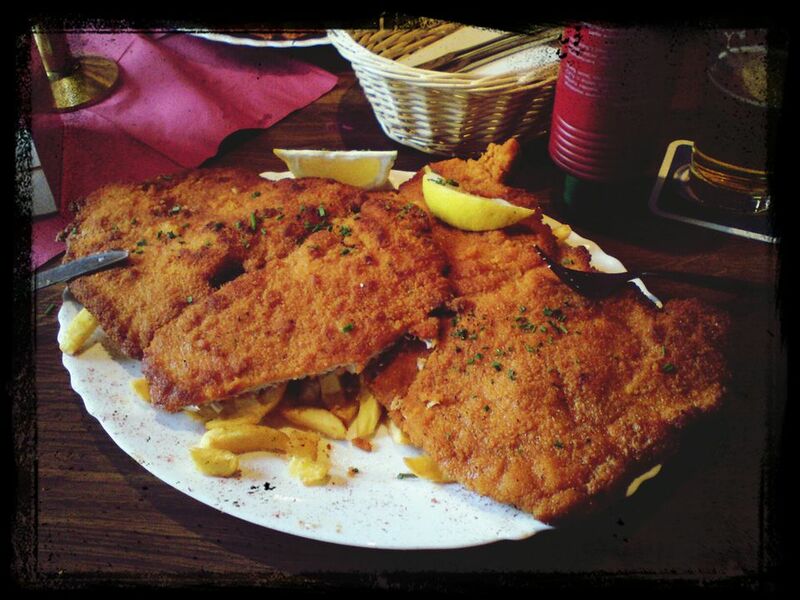 Freshly fried schnitzel tastes best, so fry them just before serving if possible. Israeli children like to eat their schnitzel with Israeli salad and pititim, which are small, pellet-shaped noodles referred to as Israeli couscous by American Jews.